OSWEGO, NY – Officials with the Oswego Speedway and the International Supermodified Association are proud to announce a reciprocal agreement for 2019 in an effort to increase competitor cross over between the two organizations. As part of the reciprocal agreement, an ISMA car that participates in an Oswego event on any one of the select non-overlapping dates will be guaranteed a minimum of $750 to start the feature event that evening. 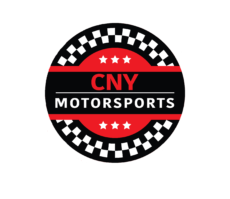 Reciprocal dates at Oswego include the Jim Shampine Memorial Twin 50’s on May 25, the Twin 35’s on June 8, the 75-lap Indepence Weekend ‘Grand Prix’ on July 6, the 75-lap, $10,000 to win Mr. Novelis Supermodified event on July 20, and the ‘Retro Night’ 45 on August 3.